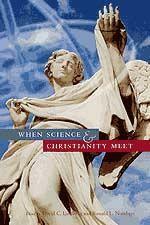 This book, in language accessible to the general reader, investigates twelve of the most notorious, most interesting, and most instructive episodes involving the interaction between science and Christianity, aiming to tell each story in its historical specificity and local particularity. Among the events treated in When Science and Christianity Meet are the Galileo affair, the seventeenth-century clockwork universe, Noah's ark and flood in the development of natural history, struggles over Darwinian evolution, debates about the origin of the human species, and the Scopes trial. Readers will be introduced to St. Augustine, Roger Bacon, Pope Urban VIII, Isaac Newton, Pierre-Simon de Laplace, Carl Linnaeus, Charles Darwin, T. H. Huxley, Sigmund Freud, and many other participants in the historical drama of science and Christianity.